If you are a keen gardener but would like to make this a social activity or perhaps you don't know much about gardening and would like some tips in a relaxed and casual atmosphere, you may want to join a community garden in your neighbourhood. Community gardens are a lot more than a patch of land where plants grow; they bring people together, provide a learning platform for those wanting to expand their green knowledge and even give the community edible produce to reduce their costs of living and enhance their health! It is not coincidence these gardens are sprouting all over the world as people seek more active lives and healthy foods. 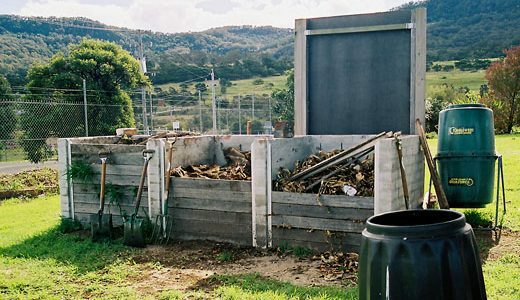 If you would like to join a community garden near you, here is a list to help you get started, please note the following list is only for gardens near Adelaide CBD, however there are over 48 community gardens in South Australia, for a full list or to find one near you please click here and simply zoom in or type your post code. The Gathering Place Community College - You don't need experience to join this group everyone is welcome at this communal space dedicated to learning, sharing and enjoying gardening. Green Street Community Gardens - Plots available to start from scratch after redevelopment. Arlington Terrace Herb Verge - This patch is dedicated to planting herbs and sharing them around to save some money and enjoy their goodness. Linde Community Garden of the Norwood Payneham and St. Peters Community Garden Association - Join this true communal garden where everyone chips in and everyone reaps the benefits, they also offer workshops, BBQs for members and a group of working bees which help pollinate the new sprouts. The Spire Community Garden - Their aim is to grow food in order to grow the community. Everyone is welcome! New raised beds and paths have been installed to make this a more permanent project. St. Andrew's Hospital Garden - Right in the CBD; this garden is located inside the hospital grounds, it provides a lovely green space, fruit and veggies for staff, families and patients. Box Factory Community Garden -Box gardening? If you have limited space, mobility or live in an apartment block with no garden, you may want to try these garden tables, they save space and awkward postures. The Goody Patch Community Garden - This garden is run by children and parents from the local school; it offers individual plots and shared garden beds, what a great way to teach your kids about plants, healthy habits and exercise. Glandore Community Garden - Everyone is welcome at this communal garden; it offers individual or shared plots and free gardening workshops to keep learning and practising. Get started and enjoy being outdoors in the company of other people, animals and plants.